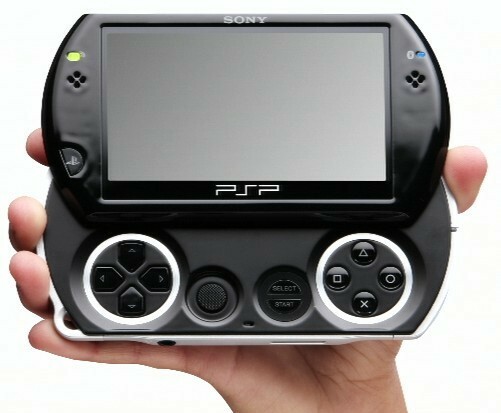 Sony finally revealed the official details of the PSP Go! This entry was posted in Gaming, Hardware and tagged E3, psp, psp go, PSP-N1000, sony. Bookmark the permalink. CAN I ORDER IT FROM MALAYSIA. ?MAY I KNOW IT IS SAME SPEC OR DID ANYTHING DIFFERENT? HOW ABOUT DELIVERY DAY? Please relax and don’t type in ALL CAPS. Currently there is no official announcement from Sony Malaysia, so we don’t know when it will be launch in Malaysia. And it also haven’t launch yet, I’m not sure if you can get it from other countries (ie: US or Japan) or not. The spec is slightly different, please refer to my post. The launch date is also in my post, which is 1st Oct for US/Europe and 1st Nov for Japan. You can pre-order it now at Amazon. Click here to pre-order it. yea but Amazon wont ship it to EU is ther any other site that sell in US dollars to but will ship it to the EU? hey, any one in malaysia has pre-order a pspgo? HI…I WAS THINKING OF BUYING PSP SLIM,BUT MY FRIEND INSISTED TO WAIT AS THIS PSP GO WAS COMING.SO I AM EAGERLY WAITING WHEN IT COMES TO INDIA.SO I WANTED TO KNOW THAT WHEN WILL THIS BE LAUNCHED IN INDIA!!! !AT WHAT COST? when its is going to launch in india and what it would be spec price? can we order it from sony offical store ? Sony still haven’t announce the launch date and price for other countries. I’m sure that you can definitely order from the Sony Official Store once it is launched in your country. if i buy from us country..are this psp same if launched at malaysia…i just wanna know…if it same..i want pre ordered it…someone pls reply..
i would say it is the same. but you can’t claim warranty because this is consider as ‘gray import’. yah i know but…are the game file same too…??? hmm… I’m not so sure. But PSP Go games should be compatible with the normal PSP. just wanna tell you one thing, the psp go most likely wont be able to play pirated games. well i wanted to know that will there a price difference in psp go in india and malaysia.? and when its gonna launch in india and malaysia.? major difference is that the psp go dont have umd drive and have built-in 16GB flash memory. dammit…what should i do now..buy psp go or buy psp 3006….give me the best answer..
pls answer…psp 3006 or psp go…choose 4 me to buy it..
Hi I’m form the Philippines and will be on New york (Manhattan) from October so I would be able to purchase it..Do you know any stores in New York that will launch PSP Go on October 1st? Any major video game retailer (ie: Gamestop) should have PSP Go! on October 1st. Could you please notify me via email once you get news on when Sony Malaysia is launching its PSP GO? Appreciate it. Thanks. You can get it in india.That much is very true.but how do you run games in it? any information would be really helpful.i guesss the japanese have still not come out with a crak for it. @ mike …delhi?? from wher..?? what about a crack or smoething!can you run pirated games on it yet? how are you using it? ive seen a couple.im getting it for abt 14K. i need you to tell me how to make it work in india!